Sierra Edd doesn’t separate her art from her activism or her activism from her art. For many years, that integration helped her develop a voice and a style in both forms of expression, particularly because she grew up with artistic parents whose art unmistakably incorporates identity politics. As a young child, the 22-year-old said, her earliest memories of her art were creating portraits and other types of images that most kids make. Edd’s parents encouraged her and her three sisters to be expressive in any way they felt compelled – no boundaries or agendas. Together, the family participated in the annual Santa Fe Indian Market. The small children – Edd was as young as 6 – spent a weekend every year among other Native American artists whose works draw an international audience. 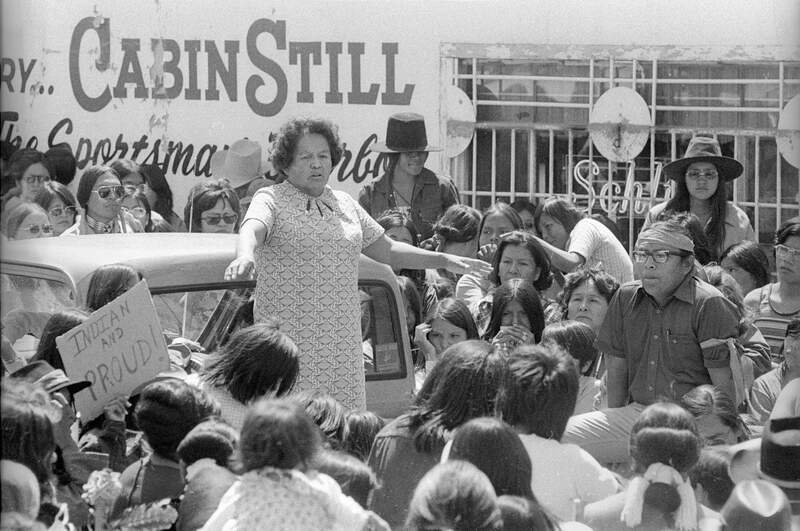 Even though Edd, who is Navajo, was surrounded by a range of artwork at the market, it was at home where she developed a sense of herself and her artistic style – both of which set her on an educational path that has resulted in a young woman whose political and social currency has gained her international recognition. Pushing boundaries with artEdd says her parents raised her and her three sisters to be deeply connected to their Navajo heritage, as well as recognizing the politics associated with that. And because they are artists themselves, the connection was inseparable. Sierra Edd is an artist and activist who spent this summer working at her family’s Bayfield home, with the family’s dog Dusty alongside them, on several art projects. Edd is a graduate of Durango High School and Brown University and will attend the University of California Berkeley this fall to work on her doctorate in ethnic studies. As Edd aged, she said her art developed into less childlike images and more into Navajo-influenced themes. She translated the heritage and political influence from her parents into pieces that quickly gained national and international acclaim. In 2010, at 14 years old, she took first place in the Youth Painting Division at the Southwestern Association for Indian Arts exhibit in Santa Fe. The painting, “Grandmas Night,” depicts the technological gap between generations. In 2014, Edd was awarded a $5,000 Discover Fellowship from the association. The money was given to allow the artist to explore creativity and push boundaries with her work. In 2015, Edd’s art was part of the “Native Re-Appropriations” exhibit at the Center for the Study of Race and Ethnicity in America at Brown University.And last year, after having met the owners of a gallery in England while she was at the Santa Fe Indian Market, three of Edd’s paintings displayed in the “We Are Native Women” exhibit at the Rainmaker Gallery in Bristol, England.Advocating for changeOnce Edd reached high school, she became actively involved in tending to the roots of activism she learned at home. She joined the Prejudice Elimination Action Team while attending Durango High School. “I was educated a lot early on about different types of prejudice and oppression and identity issues that people face, and learned about it from the Anti-Defamation League and training that they do,” she said. Working with students and faculty to embrace different cultures and identities helped Edd understand systemic racism not only in American public schools but in greater society. Edd’s participation in PEAT was one of her entry points to her college experience. 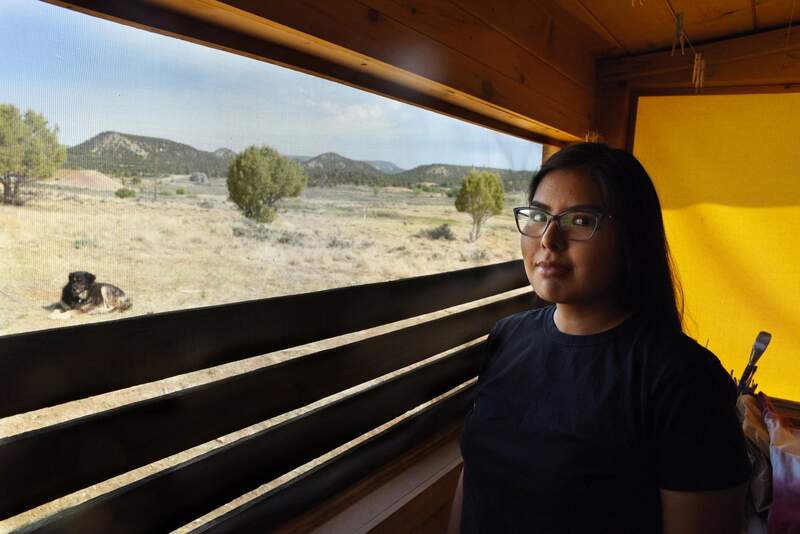 She also took part in College Horizons, a higher education preparation program for Native American students, where she connected with a Navajo admissions officer from Brown University. Since both are from the Southwest, they quickly hit it off. The officer, Tiffiney George, urged Edd to apply to Brown. She did, hoping to be accepted into the School of Design. She did not get into design school, but she did gain a spot at the Ivy League school in Providence, Rhode Island. It was the beginning of a change in how Edd intersected her art and upbringing. Edd quickly found her space and her major – ethnic studies. The Native student body at Brown is less than 2 percent, but she connected with Brown Center for Students of Color, specifically the Native American Heritage Series programming, and the Native Americans at Brown club. A year into college, Edd became a leader in the movement to get the university to designate Indigenous Peoples Day to replace Columbus Day. In 2009, the faculty had changed Columbus Day to Fall Weekend amid a national debate about the appropriateness of the federal holiday that honors Italian explorer Christopher Columbus – whom to some is not a hero but instead a genocidal colonist. To avoid controversy, Brown’s faculty chose a name that further erased Native American history. But Edd and her fellow students would not let it go on. “Our argument was basically that the neutrality of the name wasn’t helpful because it just ignores the history of Columbus and colonialism rather than actively trying to recognize that indigenous peoples are still alive and still here and still resisting,” she said. The students petitioned the faculty for a name change, which came in 2016. Students felt victorious in this endeavor, particularly because Brown, which is built on land that belonged to the Narragansett and Wampanoag nations, has a legacy of slavery and racial discrimination. Edd, who also is interested in filmmaking, made a 25-minute documentary about the students’ work to get the name changed. During college, she also received a Mellon Mays Fellowship to research border town violence near Farmington. The Navajo reservation, the largest in the country, borders the town in northwest New Mexico. The research taught Edd about the painful parts of her family’s experience living there. Her father grew up in Farmington, and he and his own family members were victims of physical violence. Edd specifically researched the 1974 incident in Farmington when white teenagers murdered three Navajo men in an act known as “Indian rolling.” For days, protesters filled streets and boycotted businesses. The U.S. Civil Rights Commission investigated the incident and found that, in general, there was widespread prejudice and mistreatment of Navajo people. This piece of history, painful as it was for Edd, was necessary for her understanding of how the borders of the Navajo Nation formed in the 1860s because her ethnic studies major focused on border theory – the concept of borders being socially produced after colonialism. In 1974, white teenagers beat and killed three Navajo men in Farmington; the teenagers were sent to reform school, not prison. “Indian rolling” was a common occurrence. The murders sparked outrage and the American Indian Movement led protests for several days against ongoing violence in the town the borders the Navajo Nation. The incident also prompted the U.S. Civil Rights Commission to investigate, and it found that there was widespread prejudice against Navajo people. What she learned academically informed her artistic messages. Inspired by familyThis summer, after Edd graduated from Brown in May with her bachelor’s degree, she returned to Bayfield to live with her family and make art. At the Edd household, art is a family affair. Edd’s mother is Esther Belin, a well-known poet, painter and printmaker. Her father, Don Edd, is a well-known sculptor and painter. They have fostered a lifelong space for their four daughters to collectively and individually create art. The four of them, Ruthie, 24, a Fort Lewis College graduate; Sierra; Chamisa, 18, who enters the University of New Mexico this fall; and Santana, 16, an Ignacio High School student, spend their summers working in a small art studio attached to the family’s Bayfield house. Each has their own style and sensibility, but collaboration is a special part of their work. Earlier this year, Nativo Lodge in Albuquerque commissioned the Edd girls to paint a mural in one room. The mural, “A Fourth World Life,” depicts the Navajo creation story. It is the largest-scale art piece the foursome has done collaboratively. After Sierra Edd graduated from Brown University this spring, she moved back to Bayfield for the summer to work on her artwork alongside her sisters and parents, all of whom are artists. Edd and her sisters have started to do screen printing and have created a line of T-shirts and tote bags that have Navajo- and Native-themed messages. They sell the items on Etsy. This summer, Edd and her sisters created a line of clothing and buttons that riff on Navajo customs, cultural icons and sayings, which they soon will sell in their store on Etsy. They also continued to do their own work and fostered a creative environment that they have each known lifelong. And on Friday, the family packed up their car, each with their own art pieces and items like T-shirts that say “Float like the frybread, sting like the grease” and headed to the annual Santa Fe Indian Market, just like they have been doing since Sierra Edd was 6 years old. Sierra Edd: Artist and activist In May, Sierra Edd graduated from Brown University, where she majored in ethnic studies. Edd has made a name for herself as a talented painter whose artwork often blends political and social themes of Native American women's bodies and the environment. Sierra Edd is an artist and activist who spent this summer working on several projects, including her painting “Bound to Empire.” Edd is a graduate of Durango High School and Brown University and will attend the University of California Berkeley this fall to work on her doctorate in ethnic studies. Sierra Edd’s book, “Red House Wandering,” is a collection of her poetry, photographs and paintings. Edd’s book is available for purchase at Maria’s Bookshop, 960 Main Ave.